In 1500, Pope Alexander VI (1492-1503), declared a Jubilee (a special year of remission of sins and universal pardon), which resulted in thousands of pilgrims flocking to Rome. No doubt some well-prepared travellers had copies of Indulgentie Ecclesiar[um] Urbis Rome in their pockets; a useful and early guidebook. 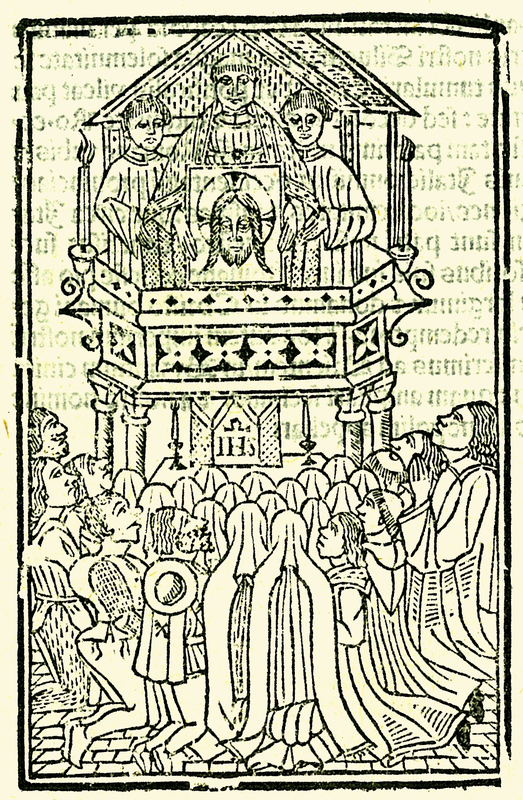 This later printing of 1515 contains a description of the seven major churches in Rome and notable relics and granted indulgences. It is bound with Mirabilia Urbis Rome, a work that deals with ancient and Christian miracles in Rome. When Martin Luther travelled to Rome in 1511, he carried his own Mirabilia with him. ___, “Indulgentie Ecclesiar[um] Urbis Rome,” ourheritage.ac.nz | OUR Heritage, accessed April 20, 2019, http://ourheritage.ac.nz/items/show/10326.